Coca-Cola is one of the world’s most popular beverage brand. But the ingredients in it pave the way to be so much more. Coca-Cola contains acids & other chemicals that are more typically used in pesticides & other cleaning products. There are numerous ways that coke can be used that remain foreign to those of us accustomed to using it as a tool to wash down dinners. Believe it or not! The use of Coca-Cola as a pesticide is not entirely heard of. In fact, it has become an entirely popular tool amongst some farmers in India for pest termination because it is cheaper & highly effective. Apparently, the high sugar content of the beverage can make it efficient in fighting pests. Even though the technique has grown increasingly commonplace in the world’s most populous country. Now don’t expect to see this particular use for the product promoted in any upcoming coke commercials. Coke has proven surprisingly successful in removing gum from hair. Simply place the sticky hair in a cup of the soft drink, let it sit for a few minutes & you are lucky to find that the gum becomes significantly easier to remove. The acids in the drink destroy the keratin in the hair & weaken them while hardening the gum. Thus providing a sharper contrast in texture to ease the separation. Thus providing a sharper contrast in texture to ease the separation. Coca-Cola can serve as a viable chemical tool to dull your hair colour in the event that you are sporting a darker coif than you would ideally prefer. The acids within the drink help to dissolve & weaken the dye. It might seem strange, but the solution to your next hair colour disaster may come from the fridge rather than your bathroom cabinet. It might sting a little bit at first, but Coca-Cola can also serve sufficiently as an operative pain neutralizer. It may not be entirely advisable to think of coke as the cure for serious injuries like breaks or strains but spray it on aggravated insect bite or an annoying bee sting & the wound will be healed quicker. That’s to the chemical compound that exists within the soda pop. Your friends may look at you like you are a little nuts as you pour coke onto the affected area of your body but in reality, you have just found a cheap, quick & little easy life hack. The syrupy, dark brown hue of Coca-Cola does not carry the appearance of an effective cleaning product but it is comprised of chemicals that can successfully act as grime dissolvers. The cooks know that their kitchenware gets all blackened & stained after long & heavy use, so in order to avoid the heavy duty of laborious scrubbing, pour some fizzy coke into a grease stained pot or a grungy pan & let it sit for a few minutes. The coke will not clean the kitchenware but it will help to dissolve & minimize the filth making the cleaning process considerably easier & less physically draining. While typically not a lethal barring allergy, jellyfish stings can be painful, extremely unpleasant & alarming for those who do not know how to physically react. If you happen to have refreshing can of coke nearby, you may want to consider pouring it on the affected area instead of slurping it down. By negating the effect of the venom, the soft drink can reduce the pain of jellyfish stings. 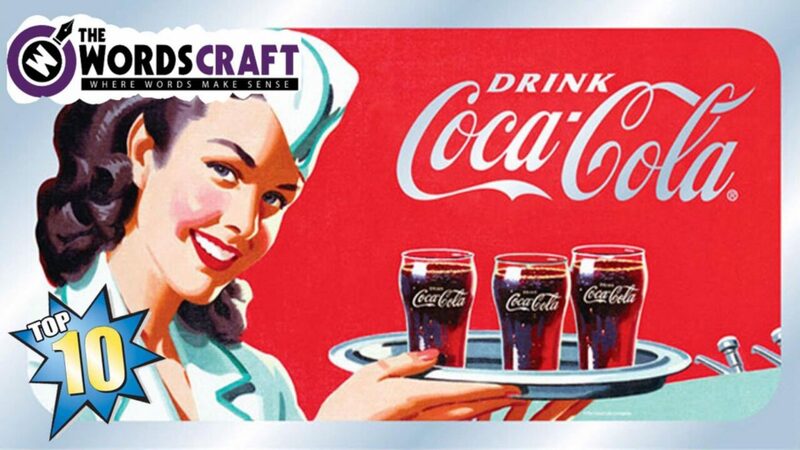 Among the many ingredients featured in Coca-Cola, the drink also includes Phosphoric Acid for a sharper flavour. The mineral acid also human hair cuticles, which serves to enhance the natural curls of one’s hair. This might be worth keeping in mind the next time you find yourself looking for an inexpensive hair curling strategy. Anyone who has got a little too close at the gas station or has worked with petroleum products knows how difficult it is to remove the unpleasant odor of gasoline from clothes. A standard run through the laundry cycle may not even do the job of completely & thoroughly removing the smell. That is where Coca-Cola comes in as the easiest & cheapest way of getting rid of the gas smell. Simply add a can of Coke to your washer & then wash your smelly clothes. Not sure who initially came up with the idea of dunking their penny nickel, dime or quarter in a glass of Coca-Cola but that person can be credited with salvaging plenty of rusty, rare old coins. Thanks to the acidic compounds found within Coke, even your grimiest, most oxidized pocket change can now hope to be scrubbed shiny & new again. Simply dip in the coin in some Coke for a few minutes & wash it with clean water to make it look clean. Most toilet cleaning products contain instructions like: “Keep away from face” & “Wash hands thoroughly after use.” It may seem rather troubling, then, to think that Coca-Cola fills the same role as those items in the grocery store that carry that skull & crossbones toxic symbol. It works! Just pour the drink in the toilet bowl & wait for an hour before scrubbing or flushing the toilet. As has been demonstrated through countless video, this should be enough to bring the bowl back to being sparkling clean.